In this blog, learn about the team behind the screen that helps create the courses, practice exercises, and projects here at DataCamp. A decision was made early in DataCamp's history to outsource our instructors so we can attract the best talent and build as many high-quality courses and projects as quickly as possible. 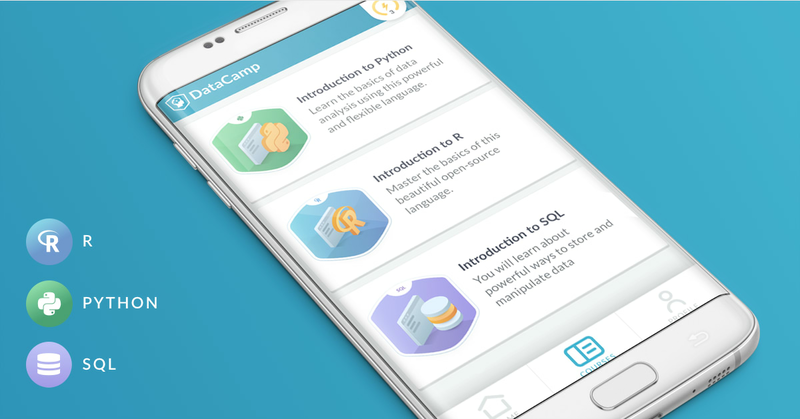 DataCamp instructors -- academics, data scientists in industry, and open-source software developers, among others -- are hired on a part-time, contract basis that allows them to retain all of the intellectual property and earn a royalty based on student completions. 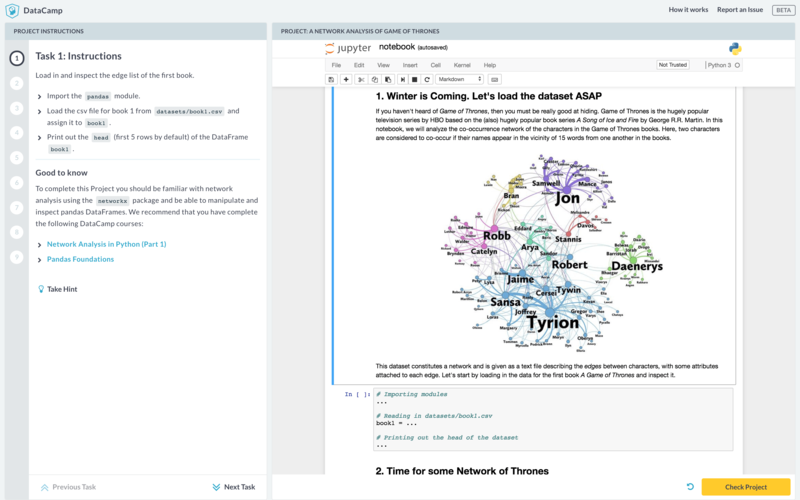 This is great for everyone involved -- instructors, students, and DataCamp. Do you ever wonder how these instructors go about creating their courses and projects, though? If you think it would be difficult to create a consistent learning experience with instructors that have all different kinds of backgrounds, you're right. An academic's instincts for creating content are different than an industry expert's are different than an open-source software developer's. There are also cultural, generational, and programming language backgrounds to consider. To solve this problem, DataCamp has a Content team in-house comprised of Instructor Recruiters, Curriculum Leads, Content Developers, and Content Quality Analysts. Here's what each of those roles entails. If you're interested in becoming an instructor, you can apply here for courses and here for projects. 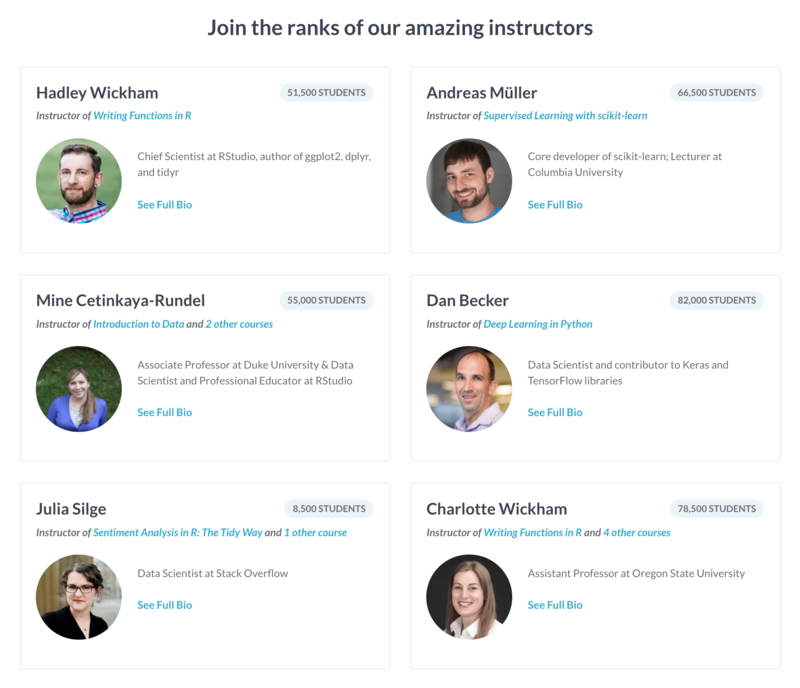 DataCamp instructors are subject matter experts with a passion for teaching, excellent communication skills, and a strong network of their own. If someone in the community fits this profile, it is the Instructor Recruiter's job to make sure they know who we are and why they should consider working with us. If their skills align with our current curriculum goals, an Instructor Recruiter invites them to apply for an instructor role, leads them through the application process, and assesses their application alongside our Curriculum Leads. Once approved, they also guide instructors through our contracting and onboarding processes. Once a contract is signed and onboarded with the help of one of our Instructor Recruiters, instructors are handed off to one of our Curriculum Leads (CL). The CL's primary responsibility is to work closely with instructors to create detailed specifications for new courses. The initial planning phase, if you will. They train instructors on our state-of-the-art authoring tools and best practices, as well as set and hold instructors accountable for deliverable deadlines. A typical day for a CL is filled with check-ins with instructors as they manage 15-20 courses at a time. Following the Curriculum Lead's initial planning phase, it is the responsibility of the Content Developer (CD) lead instructors through the course development process from post-planning to launch. Their first touch point with instructors is to provide critical feedback on course specifications. CDs then act as reviewers, thought partners, and (most importantly) advocates for our students. They are the main source of review on the text and code our instructors write, delivering feedback, primarily in writing via GitHub Issue, to make courses as interactive and engaging as possible. They keep their 15-20 instructors on schedule and act as a director during the filming of their course's videos. 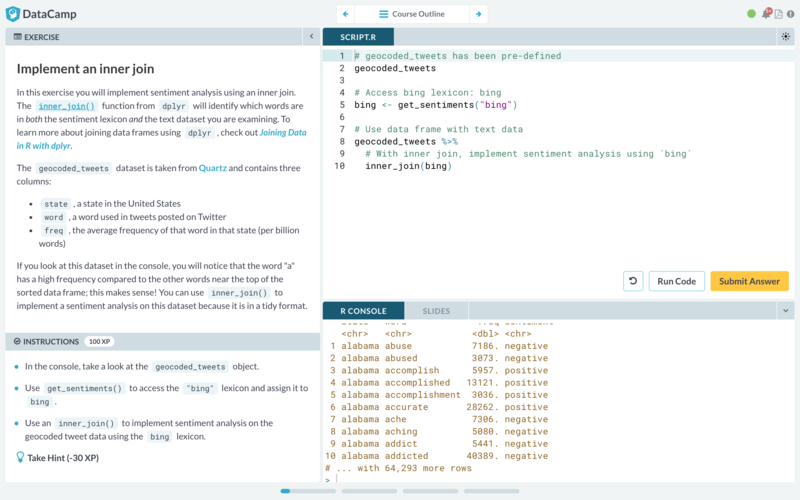 DataCamp prides itself on having the best quality data science curriculum around. The Content Quality team makes sure that statement stays true. A Content Quality Analyst's role is to work with our instructors to maintain and improve their content, based upon feedback from students and course performance data. They review text and code to ensure they are high quality, and write new automated tests in Python and R to provide personalized feedback for students. Meet Anneleen, Curriculum Lead for practice. And that's the team! Because of these folks, instructors get first-class treatment as they are guided through the content creation process. For more information on the benefits of becoming an instructor, read the FAQs here. If you want to become an instructor, apply here to create a course and here to create a project. DataCamp's Learn, Practice, Apply philosophy.